Project Management Process Groups sorting test - sort processes into respective process group buckets. Planning Processes ordering test - organize the processes in the Planning Process Group into the right order. I really love the way the game works. Simple, intuitive, yet extremely powerful learning tool. Thanks to Aamir for putting it together and making it available for free. As a bonus, you can download the game to your local machine and use it as much as you like. You do not need to be connected to the internet to play the game. 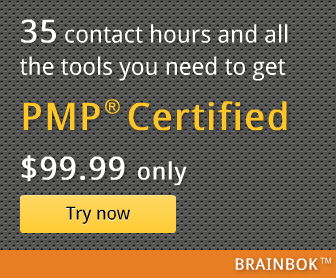 You can also try another cool PMP ITTO tool to get your head around the 600-pg PMBOK within a few hours. Thanks for sharing it. Please let me on if you think something needs to improve or change. But it is not user friendly. We are not able to move 'Mixed' to Process Groups. Could you please inform us, if any shortcuts. Lakshmi It does work. Just click any item from missed list and drag it on any of the proccess group and leave the mouse click. Game has been removed as of June 15, 2011. It will be nice if would be a way to "test" every phase on its own. I mean, initiating, planning... etc. (For learning separately). Then another mixing some of them on demand. + Could you update game for eight edition? Really cool and helpful game. Thanks a lot Aamir. I will use it today in a focus group session I am conducting to help my colleagues prepare for the exam. It would be great if you can also create a similar game based on the Process Groups and Knowledge Area Mapping in PMBoK version 5 (page 60). Will the PMP Certification Improve My Salary? Project, Program or Portfolio Management?